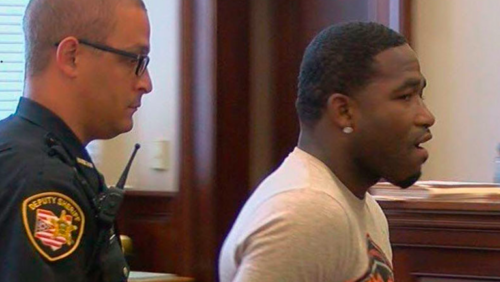 VIDEO: American boxer Adrien Broner arrested in Atlanta? Adrien Broner is never shy of embroiling himself in controversies. After all, he goes by the nickname ‘The Problem’. Now, a video has surfaced online, wherein Broner (or his lookalike?) is being escorted by police out of a mall in Atlanta, Georgia. However, when Fightful approached Atlanta Police to confirm the authenticity of the clip, it turned out there were no reports of the boxer’s arrest. “At this time [we] are not locating a report for Mr. Broner,” the report quoted an official as saying. This is not the first time that Broner has been in headlines for all the wrong reasons. In 2016, the 28-year-old hinted at suicide on his official Instagram account. Later that year, he was charged for allegedly attacking a waitress at a nightclub. In September last year, he shoved a female companion and knocked a guy down at Las Vegas Strip. Meanwhile, Broner (33-3, 24 KOs) is scheduled to trade punches with compatriot Omar Figueroa Jr (27-0, 19 KOs) come April 21.